Top quality, handmade stylin' collars in funky standout designs. PLAID is having its biggest comeback since the 90's...and we say it's about time!All collars are made with strict attention to quality and style using the best hardware and materials. Elijah Loves her walk-e-Woo collar, its her first one and she doesn't find any discomfort with it at all. I got this in brown plaid. 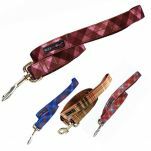 It's a nice stylish collar with a sturdy clip and durable but comfortable nylon backing. Haven't washed it yet but i've had similar collars in the past and had no problems putting them through the machine. 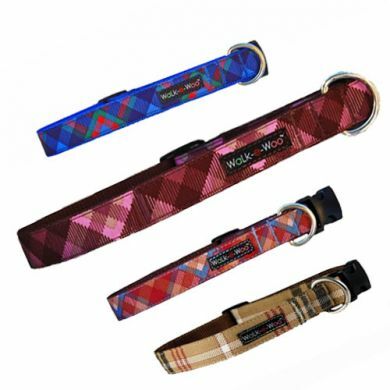 Read 2 customer reviews of Walk-e-Woo Plaid Dog Collars. The average customer rating is 5. The colours match exactly to what was displayed on the web. Waggle customer service was great as always and shipping was fast.